Facebook constantly works on its brand as the world’s most popular social networking platform by adding new features, changing layouts, and working on projects to extend its reach across different devices. In adding the new 15-second video feature to Facebook Messenger iOS, the company is looking to have its brand seep into the area of social media dominated by Vine, Snapchat, and other services. Perhaps closer in execution to Snapchat, the new feature allows users to record a short clip—the mentioned 15 seconds—and post it within an instant message. If it sounds fairly easy in execution, that’s because it is. The major selling point of the feature—a similar one which is available on Instagram—is that it’s right there within Facebook Messenger itself and that it’s meant for the more intimate confines of an IM. It adds to the one-stop-shop approach services strive for. 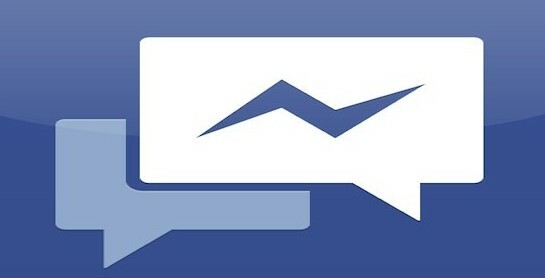 Currently Facebook Messenger sees action from 200 million users. With such a large pool of users, it’s only natural to think that Facebook would want to delve in and see what it can do in terms of ad revenue. Enter former PayPal president David Marcus. In his upcoming role as vice president of messaging products, he will have to find a way to have Messenger make money for Facebook. Marcus will take to his position later this month. Along with the larger addition of micro-recording, Facebook Messenger will also allow users to make the “Like” icon—the signature “thumbs up” stamp of approval on Facebook—larger by simply holding down the “Like” icon until it’s the preferred size.